Have you been on a lookout for point and shoot camera lately? If you are unable to pick the best point and shoot cameras in 2019 and you are still confused, then you have come to the right place. We have devised a list of best point and shoot cameras, especially for our readers. Whether you are a professional/seasoned photographer who is looking for something handy or you are just trying to channel your inner Brent Stirton, compact cameras are always desired. The heavy DSLRs truly amputate your arms and take up a lot of luggage space. While the smartphone cameras are competing with the lower end of this niche, the mid-range and advanced point and shoot camera options are upping their game. Some of the best-advanced point and shoot camera options are even offering a 4K video feature even at the small level. This list will contain all the top options that you can choose from depending on your preferences and usage. Before you select a point and shoot camera, it is essential that you ask yourself a couple of questions. Firstly you need to know which is the best option available in the market and then what are you use the camera for. Once you have these questions answered, you are good to go. 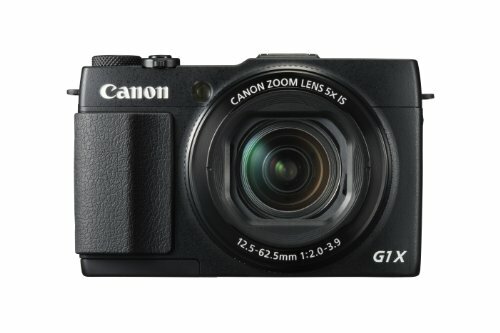 The Canon PowerShot G1 X Mark II has a 12.8-megapixel effective resolution with a Digic 6 processor. Its focal lens range is 24-129mm and the maximum aperture ranges between f/2.0 and f/3.9. Overall this point and shoot camera have a faster, longer and wider lens as compared to the models that came before it. It also has a built-in 3 stop ND filter. Generally, the image quality is superior and it offers good quality JPEGs in burst mode. You can also use the autofocus mode in low lighting and balance the incandescent light performance as well. Since the viewfinder has been removed, you will notice that the camera has become more compact. The touch has a quick response and bright output for easy usage in sunlight. Furthermore, it has Wi-Fi option that you can use along with NFC. It has a localized flash issue that gets better when used with a faster lens. The image quality is still the same as the previous model. Dynamic range is also below average and the corners of the image distort. The burst mode gets slower when opting for RAW images. The battery life isn’t spectacular either and the lens ring often takes too long to respond. Another one of the sets backs may include the unavailability of the mic jack; audio levels for recording cannot be adjusted. Considering the price, the video quality isn’t quite up to the standards. In this price, you can easily find a good DSLR with an outstanding video output. We know we were supposed to talk about the RX100 V but this had to be mentioned. In the technologically advanced world that we live in today, it is unbelievable to recommend a camera model that was released six years back. 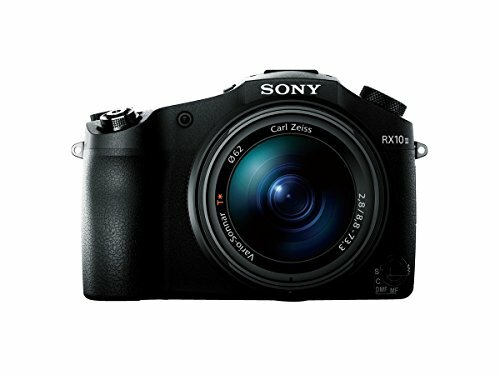 The Sony RX100 still remains the best point and shoot camera available at this price with an outstanding result. The latest RX100 V costs between $948 and $998. Considering the price, you can get a Sony a6300 with a lens of your choice and it will still cost you a thousand dollars. The Sony point and shoot cameras have always been the top picks in the market. With the latest rendition of the trusted RX100, the new RX100 V definitely steals the show when it comes to providing the best features. This model boasts remarkable autofocus 315-point phase detection along with 4K video feature and a burst rate of 24 frames per second. On top of that it has an electronic viewfinder, so if you aren’t that concerned about the pricing and you are a pro then this should be your pick. The thing that excites most camera lovers is the sensor and lens that the specific equipment boasts. The PowerShot G3 X has a versatile superzoom with excellent image quality and 24-600mm range. If you are a wildlife or landscape photographer then not a single camera on market can beat this. Although the aperture range is not that impressive as it stays between f/2.8 and f/5.6. You should also know that using the camera handheld at 600mm can become a pain as it is impossible to stabilize it. It has an ultra-fast shutter speed. Before the Lumix FZ2500 was released, the FZ1000 was introduced. The two models have the same sensors however the latest model boasts a new lens, ND filters, large EVF and more customizable features. 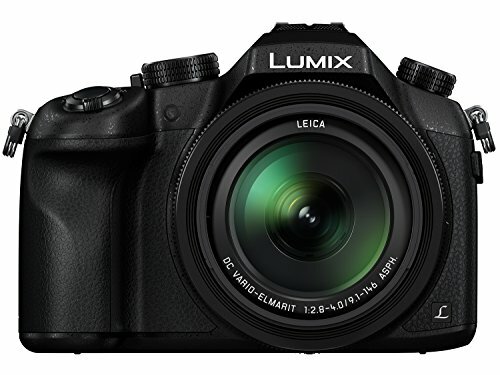 Panasonic Lumix FZ2500 camera is all about making your videos better. It can shoot in Ultra-HD 4K and cinema as well. This is a fixed lens camera with a sensor of 20MP 1″ BSI-CMOS and an aperture that ranges between F/2.8 to f/4.5. It has a top shutter speed of 1/4000 per sec as well as an expanded ISO range ( 80-25600). Moving on, its focal range is 24-480mm and it has a large LCD touchscreen. It has a burst shot speed of 12 frames per second along with Wi-Fi, phone and mic jack and an HDMI live output. This could easily be the most compact and best travel camera that you can choose from. The Sony RX10 II is an expensive point and shoots camera with an amazing build quality, viewfinder, impressive video quality, imaging, versatile zoom lens, autofocus, and brightness. It has an excellent battery life with the ability to capture superb slow-motion shots with Wi-Fi and amazing burst performance. If you compare the exterior of RX10 and RX10 II, you will definitely say that these two are identical but the truth is that RX10 II is capable of performing well and more powerful. The new CMOS sensor stacked with 1″-type Exmor RS and 20.2-megapixel lens is what allows the camera to perform better at different levels. It has a burst rate of 14 fps which is excellent. It also has a shutter capacity that goes up to 1/32,000 which is helpful especially if you are shooting in extreme lighting. The RX10 II can shoot in 4K and even if you drop it, it still shoots in high resolution. If you are into videos and don’t capture images that often then this could be an investment however if you aren’t that into videos then you might not need to upgrade from the RX10. For decades now Sony has dominated the point and shoot camera niche, but Canon has hit Sony with an array of options. Canon has taken the top spot on the list however it was a close call especially with Sony RX100 shining in all its glory. Both of these cameras have similar features and large image sensors however the zoom range on G7X Mark II was the icing on the cake. 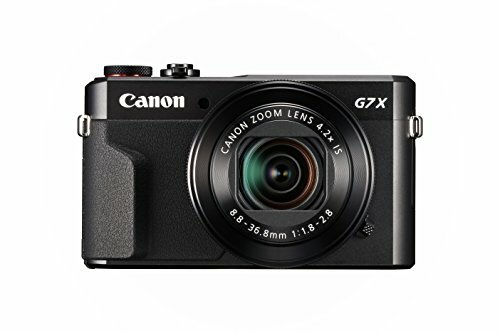 PowerShot G7X Mark II is ideal for wide-angle usage and landscape photography as the zoom range is 24mm which is wider when compared to Sony. Furthermore, it has a Wi-Fi option built into the camera so users can easily transfer the images and on top of that, it boasts an aperture of f/2.8 which is a great quality on the telephoto end. On the contrary, it doesn’t have a viewfinder and doesn’t shoot in 4K video mode. All the shooting has to be done with the help of a rear LCD and it is more expensive as compared to other cameras available in the market with somewhat similar features. If you are not looking for wide-angle options, then there are other point and shoot cameras that might be better for you. 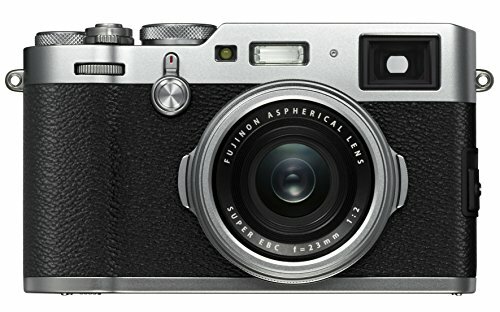 The Fujifilm x100F is considered as the best point and shoot that has yet come out in the market. Most of us fell in love with the previous model x100T, but this newer rendition is equally as impressive. This model is considered as the best compact point and shoot camera for traveling and street photography. The feature that attracts most camera users is the APS-C image sensor adjusted in the compact body. It has the improved 24.3 megapixels with longer battery life, fast continuous shots, and autofocus. Probably the only reason why this camera is understated is that of the fixed lens. Cameras with smaller sensors are more popular because they give an adjustable lens option. The results and speed of the camera are matchless but you are unable to benefit from zoom versatility. 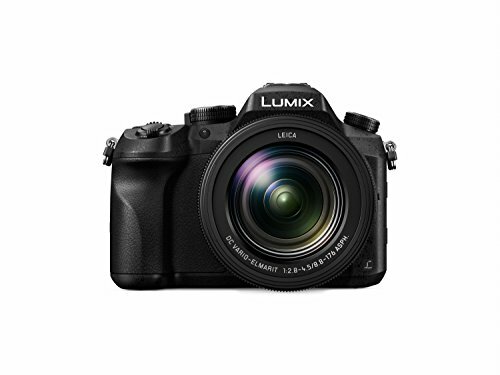 The Panasonic Lumix LX10 is an excellent point and shoot camera for aspiring and enthusiastic videographers. It boasts an amazing f/1.4- f/2.8 lens which is excellent when it comes to performing well in low light. 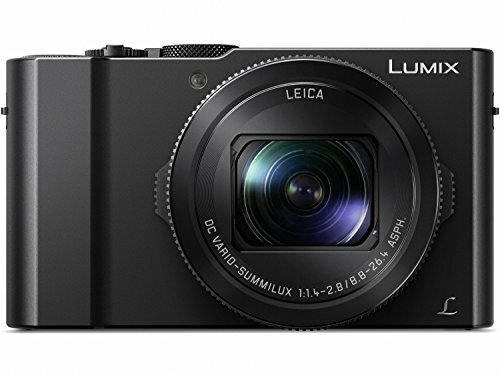 Panasonic Lumix LX10 shoots in a 4K video with a touchscreen. These features compete with some of the most expensive point and shoot camera available in the market that doesn’t even have these features. It is not that user-friendly and on top of that, the zoom range isn’t that impressive either. It has 24-72mm zoom range which isn’t something that most people get excited about. It isn’t exactly difficult to use however, some people might not find it pleasing or may take a little to get used to of the menu, buttons and the camera settings. We usually don’t recommend the tough cameras you truly need the extra protection. These take up a lot of space and are chunky. 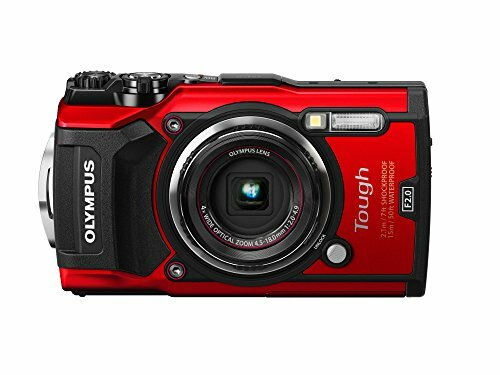 However, if you are traveling or going on an adventure then the Olympus TG-5 is the best point and shoot travel camera that you can get. With rugged cameras, you are paying a lot however the performance is not as good. The Olympus TG-5 is a fun camera that is waterproof and it can resist water until it is 50 feet down. On top of that, it is also dust-proof and freeze-proof with the f/2 aperture for taking images under water and in low light areas. The zoom range is 25-100mm which is good considering it is a tough camera. Other rival camera manufacturers like Nikon and Canon offer 28mm wide angle. The latest version also has a microscopic mode where underwater photography goes to a whole new level. 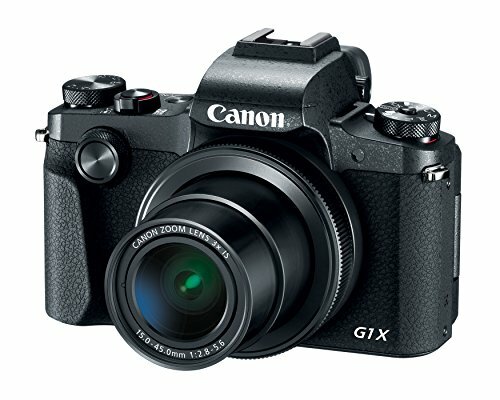 The Canon Powershot G1 X Mark III came out near the end of 2017 and ever since it has been a cult favorite because of the APS-C sensor. 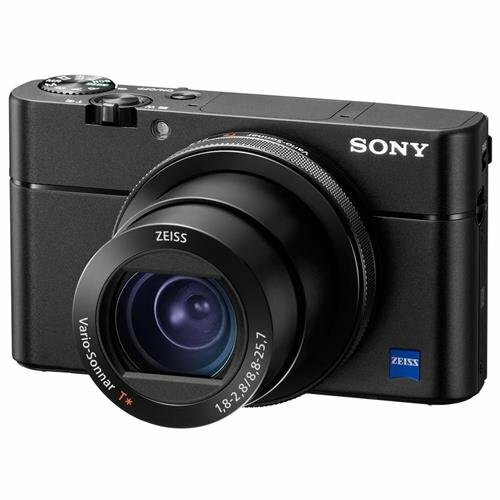 This is the best compact camera that you can use because it is handy and packs all the features. One thing that you should note is that it isn’t designed for video making. 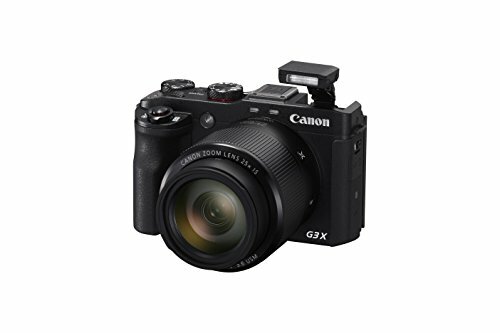 Canon Powershot G1 X Mark III can be the perfect addition to your DSLR kit if you are an enthusiast and like taking gorgeous images. This could be your all-in-one solution to getting amazing pictures that are of high quality. If you aren’t that keen about the size and the weight of a point and shoot, then we highly recommend this camera. It offers a huge 1-inch image sensor with 25-400mm zoom range. Most of the point and shoots don’t have the superzoom. The optical quality is impressive beyond measures and it shoots videos in 4K. However, it is huge as compared to other compact cameras. If you are looking for the best pocket camera then this might not be it because it requires some space and wouldn’t slide into your pocket. The smartphones launching in the market have cameras that compete with entry-level point and shot cameras. However, the advanced and mid-range point and shoot cameras are a class apart and most of them boast the features of an SLR but aren’t as expensive. So, if you are looking for an upgrade from your smartphone, you don’t necessarily have to buy an SLR. DSLRs are expensive, heavy, and clunky and require a lot of luggage space. If you are simply looking for an upgrade then we would suggest that you go for a point and shoot camera. Most of the smartphones being manufactured in 2019 are more focused towards improving the camera and giving the top of the line point-and-shoot keeping the professionals in mind. The point and shoots that target enthusiasts usually boast a large 1-inch image sensor, quick lens, attractive features such as 4K video mode and LCD screens. The top models in this category are the Sony RX100 series and Canon G7 X Mark II. Usually, the point and shoots in this category are big on the features however they lack in image sensor’s size.mid-range cameras are good if you don’t want to enlarge the photos or you can compromise on the zoom range. There was a time when everyone, including ourselves, used to carry a cheap point and shoot camera but then came the smartphones with impressive cameras and pro-features. The iPhone X or Samsung Galaxy S9 plus for instance is the leading camera phones on the market. They boast dual cameras that outperform each and every point and shoot camera out there. Instead of going with an entry level point and shoot, we would suggest that you upgrade to the enthusiast or mid-range point and shoot. The point and shoot digital cameras usually have non-removable lenses that offer a wide zoom range. As compared to the DSLR, you can change the lenses according to your requirements however with point and shoots, that isn’t the case. The zoom rage varies, for instance, the Sony RX100 V has a 24-70mm range while the Panasonic Lumix FZ2500 boasts a 24-480mm zoom range. Super-zoom is the new trend for 2018, where most cameras offer this feature. Since smartphones can’t give a super-zoom the manufacturers use the super-zoom as a tool to attract more customers. The Canon PowerShot SX530 HS in specific tops of the list for a super-zoom with a 24-1200mm optical zoom. However, there are two drawbacks to choosing a super-zoom camera. Firstly is bulky and heavy almost as big as a DSLR and secondly, the image sensor is smaller when the zoom range is higher. Almost all of the entry-level point and shoots and some mid-range use the CMOS (1/2.3″) image sensors. As the price starts to increase, the image sensor size also increases. Most high-end or the good point and shoot camera options have CMOS (1” or 1/1.7”) sensor. Whereas the expensive professional point and shoots have the APS-C image sensor. Megapixels are often misleading because it doesn’t mean that a camera with higher megapixel will produce the image with better quality as compared to the one with lower megapixels. The megapixels need to be according to the image sensor size. So, let’s say if a camera has larger image sensor size, more ISO sensitivity, better lens; then you can get a better image even with a camera that has fewer megapixels. So always weight all features instead of just focusing on the megapixels. The major features that set apart high-end from a budget camera are the performance of the camera and the lenses in low light. The thing that you need to focus is the aperture, this is determined with the f-stop. The lower the aperture or the f-stop is, the bigger the camera lens will open allowing more light to pass through and you’d be able to take better pictures. The Panasonic Lumix LX10 has an aperture of f/1.4 making it an excellent choice. Just like the zoom, video quality is another feature that most people look for. The entry and mid-range cameras offer 720 and 1080p shooting modes. The top of the line offers 4K video options that truly allow you to capture the smallest of details. NFC and Wi-Fi features are extremely crucial in the world that we are living in today. No one has the time to connect cameras to other ports and then transfer data. This is something that you look out for in a point and shoot camera. Another feature that differentiates point and shoots from one another is the read LCD screen. These are usually around 3 inches and the resolution changes according to the price tag. Bright screens with higher resolution are excellent when it comes to shooting outdoors. Few of the advanced cameras (point and shoots) have viewfinders; these can be optical or electronic. So basically you don’t have to line up images at the rear screen you can view it at the viewfinder attached to the top of the camera. A lot of people ask us about our verdict on rugged cameras. The rugged cameras have a strong casing they are heavy but water, dust, freeze and shockproof. Olympus TG-5 happens to be our favorite, however, we usually recommend these cameras. You are paying a lot of amount for an average camera with heavy ‘protecting’ casing. However, if you are going on an underwater adventure or to an area with extreme weather conditions then these might come in handy. These memory cards were once expensive, however, they are becoming cheaper and faster quicker than ever. The SanDisk Extreme happens to be our favorite and we always recommend all other cards.